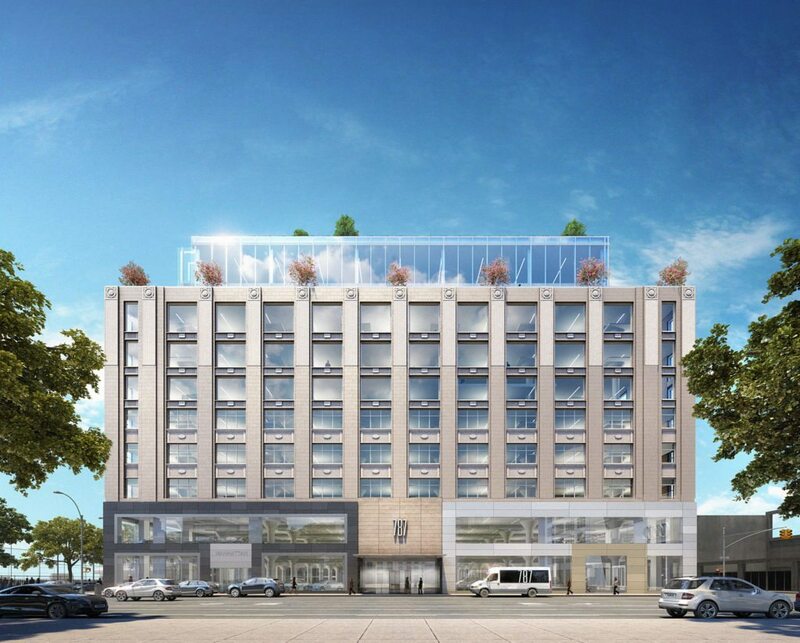 The Georgetown Company and renowned architect Rafael Viñoly are teaming up to convert 787 11th Ave. into a workspace tower. The Hudson River Park is only one block away and offers bike trails and jogging along the water for future 787 11th Ave. tenants. 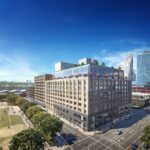 The $100 million revamp will add two stories, bringing the historic building to 10 floors with an additional 86,000 square feet. Rafael Viñoly, designer of 432 Park Ave. – Manhattan’ tallest apartment building – opted for 24-foot high ceilings and oversized windows to maximize natural light flow. 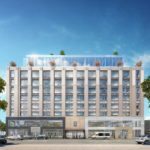 With development soaring in the Far West Side of Manhattan, The Georgetown Company and renowned architect Rafael Viñoly are teaming up to convert 787 11th Ave. into a one-of-a-kind workspace. “This office space is going to be quite special, with floor plates of over 1-acre in size, allowing tenants to have a special presence in a boutique setting,” Georgetown Company CEO Adam Flatto said. Situated in the Clinton neighborhood, just across the street from Dewitt Clinton Park, the building is only steps from athletic fields and other recreational facilities. 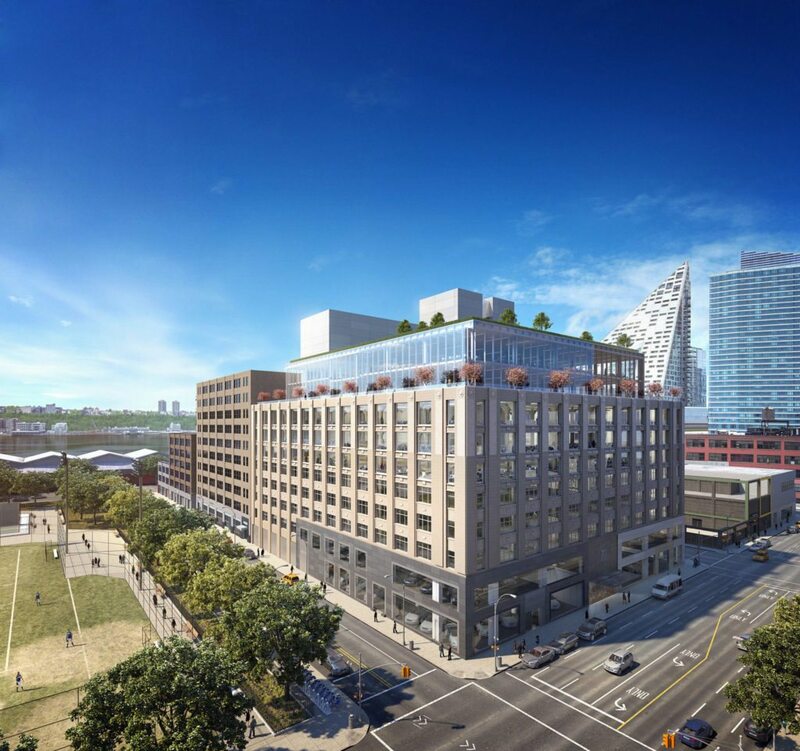 The Hudson River Park is only one block away and offers bike trails and jogging along the water for future 787 11th Ave. tenants, making the historic property a prime location for wellness employees and employers alike. 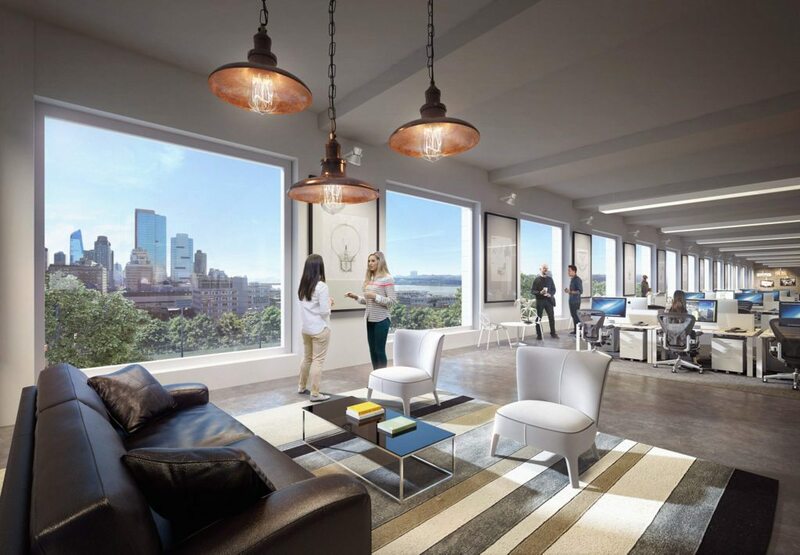 Although the Far West Side is rapidly growing, especially with Hudson Yards and the Brookfield projects bringing in a variety of tenants, Flatto sees Georgetown’s office space taking hold of the same thriving trends — with a unique twist. The $100 million revamp will add two stories, bringing the historic building to 10 floors with an additional 86,000 square feet. 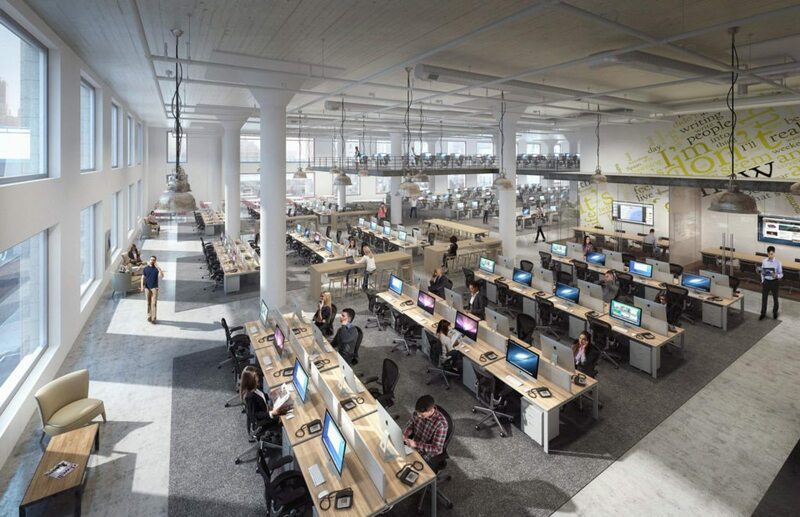 In total, the space will reach over 500,000 square feet, allowing The Georgetown Company to offer modern, accessible offices in a lively part of town. 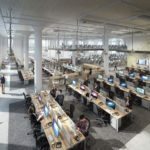 “Our goal was to honor and restore an iconic Albert Kahn industrial building by retaining its heritage of auto dealerships on the lower levels and converting and adding area to the upper levels to create distinctive office spaces whose architecture complements the original design,” Viñoly said. Flatto says beyond the interior, access to public amenities adds tremendous value when compared with other Midtown office buildings. The Georgetown Company has a few other health-minded amenities for tenants, which might come in handy during cold New York winters. “We’ve worked out a partnership with a Mercedes Club across the street with a significant gym and health club facility so our tenants get a preferential membership at the club,” he said. Inside, Rafael Viñoly, designer of 432 Park Ave. – Manhattan’ tallest apartment building – opted for 24-foot high ceilings and oversized windows to maximize natural light flowing from the park across the street, which provides light and air with no buildings obstructing the southern-facing view. “It is very rare to find this type of space near Midtown Manhattan. 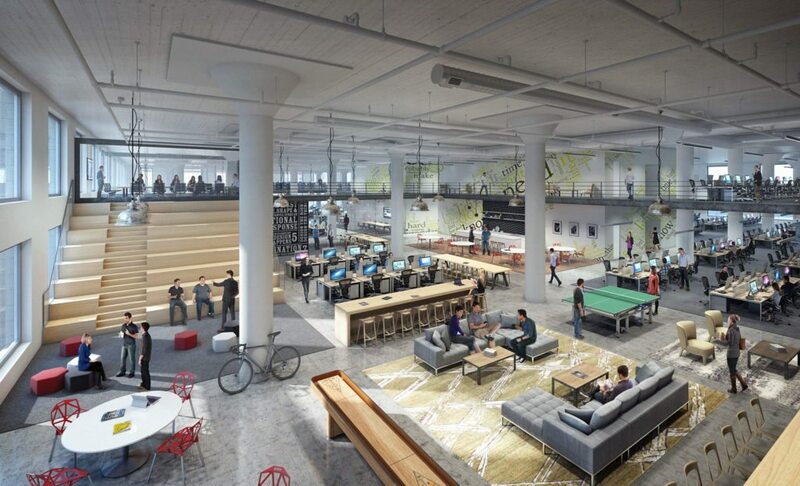 Compared with office buildings built in the 1960s and ’70s, the design and dimensions of this kind of industrial building are easier to adapt to the needs of the modern tenant,” Viñoly said. 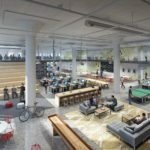 “We put a lot of focus on wellness and lifestyle that we think really reflects the evolution of the daily office life,” Flatto said. Jaguar, Land Rover and Infiniti currently occupy the bottom five floors and have signed long-term leases, but the office use above is going to be independent with a separate entry and lobby. The top floors are completely new and are going to be designated as office space, too. However, they are already committed to a firm. 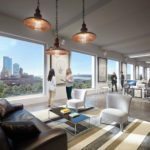 In fact, the property is already 70 percent leased with only three floors available – floors six, seven and eight. The Georgetown Company is no stranger to the Upper West Side. The IAC Building on West 18th Street, designed by Frank Gehry, was completed in 2007. “[787 11th Ave.] continues in that vein. We see the growth of Manhattan going in that direction, and capitalizing on the great public assets on the Hudson River Park,” Flatto said.